The singer noted for her decades-long mastery of American popular song started life amid the poverty of small-town Maysville. Her childhood was a difficult one; Clooney and younger siblings Betty and Nick were shuttled among their alcoholic father, Andy, their mother, Frances—who traveled constantly for her work with a chain of dress shops—and relatives, who would take turns raising the children. When Clooney was 13 her mother moved to California to marry a sailor, taking Nick with her but leaving the girls behind. Her father tried to care for Rosemary and Betty, working steadily at a defense plant, but he left one night to celebrate the end of World War II—taking the household money with him—and never returned. As Clooney described in her autobiography, This for Remembrance, she and Betty were left to fend for themselves. They collected soda bottles and bought meals at school with the refund money. The phone had been disconnected, the utilities were about to be turned off, and the rent was overdue when Rosemary and Betty won an open singing audition at a Cincinnati radio station. The girls were so impressive, in fact, that they were hired for a regular late-night spot at $20 a week each. “The Clooney Sisters,” as they became known, began their singing career in 1945 on WLW in Cincinnati. This work brought them to the attention of bandleader Tony Pastor, who happened to be passing through Ohio. In 1945 The Clooney Sisters joined Pastor's orchestra. They toured with Pastor as featured singers until 1948, at which point Betty decided to return to Cincinnati and her radio career. Rosemary continued as a solo vocalist with Tony Pastor for another year. Then, in 1949, deciding she needed to expand her professional career, she left the band; at age 21 Clooney struck out on her own and headed for New York City. Enlistment in World War II and the draft drastically depleted the personnel of most bands, creating the need for orchestras to highlight a charismatic singer. After the war, singers who had stolen the limelight from bands became even more indispensable as audiences increasingly came to demand them. Leaders of popular bands discovered and nurtured singers like Bing Crosby, Doris Day, Frank Sinatra, Peggy Lee, Ella Fitzgerald, and Dinah Washington and became associated in the public eye with their finds. Clooney's arrival in New York was perfectly timed with the rage for orchestra-backed singers; she was immediately signed to a recording contract with Columbia Records. By then “girl singers,” as they came to be known—Kay Starr, Day, and Lee—were emerging as recording stars. As her popularity swelled, Clooney began a romance with dancer Dante Di Paolo, her co-star in the films Here Come the Girls and Red Garters. Nonetheless, to her friends' and the public's amazement, Clooney eloped in the summer of 1953 with Oscar-winning actor Jose Ferrer, 16 years her senior. “Rosie” and her whirlwind marriage became a favorite topic of the tabloid journals. Clooney and Ferrer moved into a glamorous Beverly Hills home once owned by composer George Gershwin and entertained with lavish poolside parties attended by the toast of Hollywood. Their first child was born in 1955 and by 1960, they had five children. For Clooney, the world came crashing down in 1968. She was standing only yards away when her close friend Bobby Kennedy, then campaigning for the Democratic presidential nomination, was assassinated in Los Angeles at the Ambassador Hotel. The tragedy, compounded with her drug addiction, triggered a public mental collapse: At a Reno engagement she cursed at her audience and stalked off the stage. She later called a press conference to announce her retirement at which she sobbed incoherently. When a doctor was summoned, Clooney fled and was eventually found driving on the wrong side of a dangerous mountain road. Soon thereafter she admitted herself to the psychiatric ward of Mount Sinai Hospital in Los Angeles. Clooney remained in therapy for many years. She worked when she could—at Holiday Inns and small hotels like the Ventura and the Hawthorne and selling paper towels in television commercials. Along with her renewed recording efforts, Clooney created a living memorial to her sister Betty, who died in 1976 from a brain aneurysm: the Betty Clooney Center in Long Beach, California, a facility for brain-injured young adults. The first of its kind in the U.S., the center is supported by grants and donations. After receiving the James Smithson Bicentennial Medal in 1992 in recognition of her contribution to American music, Clooney told the Washington Post, “It's for showing up day after day, for small increments of time and achievement.” Claiming that singing has become her salvation, Clooney added, “I'm the only instrument that's got the words, so I've got to be able to get that across.” As her top-selling jazz albums indicated, Clooney was still able to mesmerize audiences with her warmth, depth of feeling, honesty, and unsurpassed craft. All About Jazz musician pages are maintained by musicians, publicists and trusted members like you. Interested? 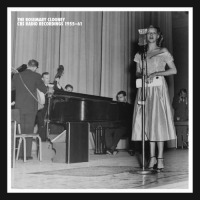 Tell us why you would like to improve the Rosemary Clooney musician page.